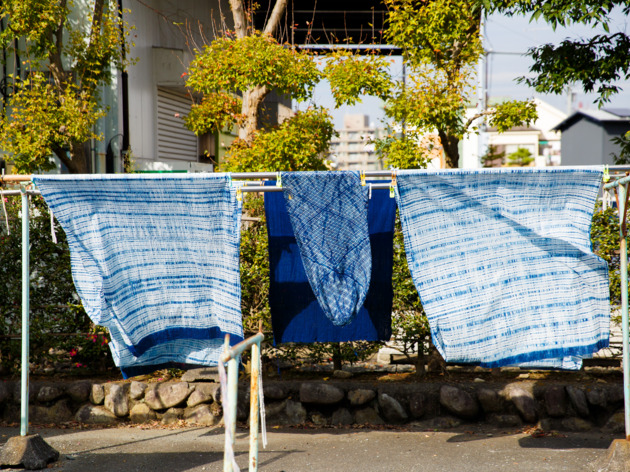 Blue is a colour woven deep into Japan’s history. But not just any blue: we’re talking about indigo. Everything from fabric and yarn to kimonos and futon covers have been dyed this rich colour since the Edo period (1603-1868). Today, the colour still plays a central role – the official logo of the upcoming Tokyo 2020 Games is the same ancient shade and studios across the country are still feeling blue. 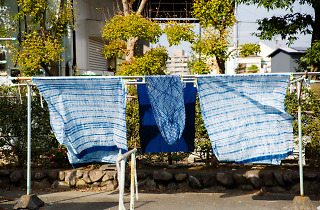 While most modern fabrics are synthetically dyed these days, traditional indigo dyeing, known as aizome in Japanese, is still practised at a few places in and around Tokyo that are keeping the art of aizome alive. 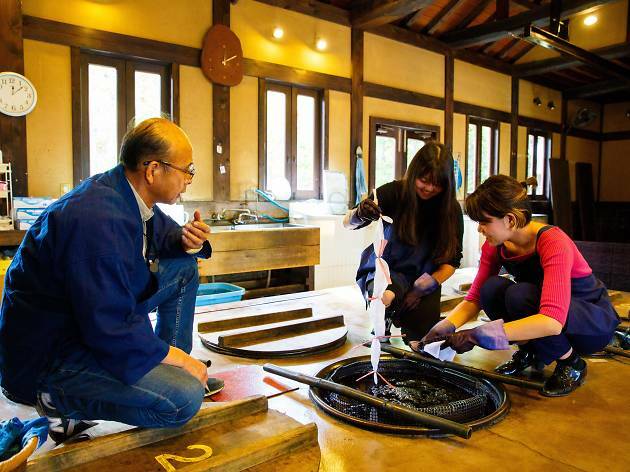 One of the best destinations for learning more about aizome is Kosoen Studio, a serene spot situated way out west in the city of Ome, an hour and a half by train from central Tokyo. 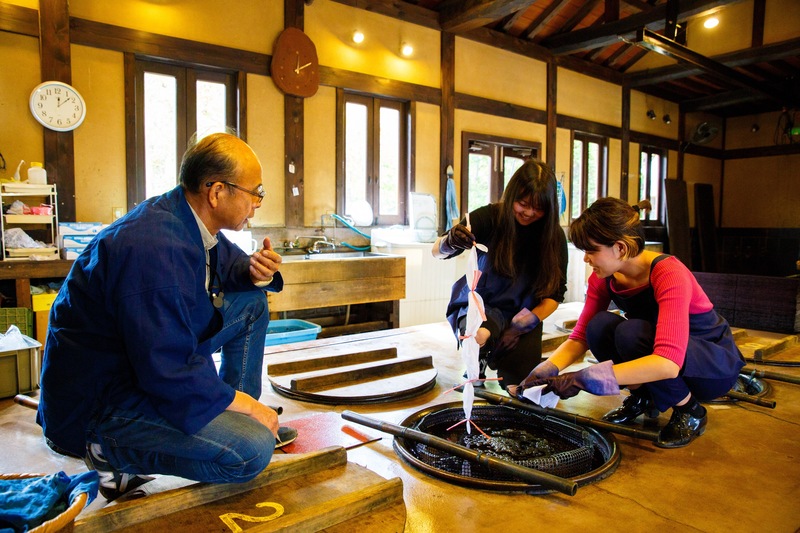 Surrounded by lush mountains and clean air, Kosoen has been developing and dyeing with aizome since the early 1900s. 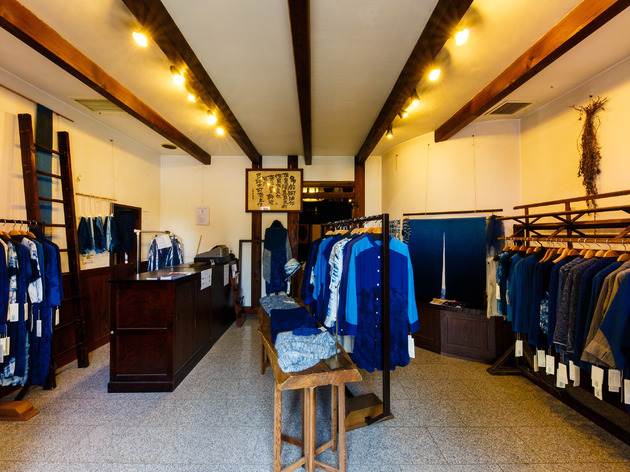 The Murata family that runs the company has been in the textile business for over a century, but two of the Murata brothers decided to open Kosoen Studio in 1989 to continue the craft of natural indigo dyeing, colouring everything from garments to interior decor. The studio offers a dyeing experience for those interested in trying out aizome (from ¥1,600), as well as an adjoining store selling clothing and accessories that the Muratas have designed and dyed themselves. So what makes aizome so special? For one, the natural process is completely safe and environmentally friendly, with no chemicals used, and the dye concoction also happens to be a natural insect repellent. 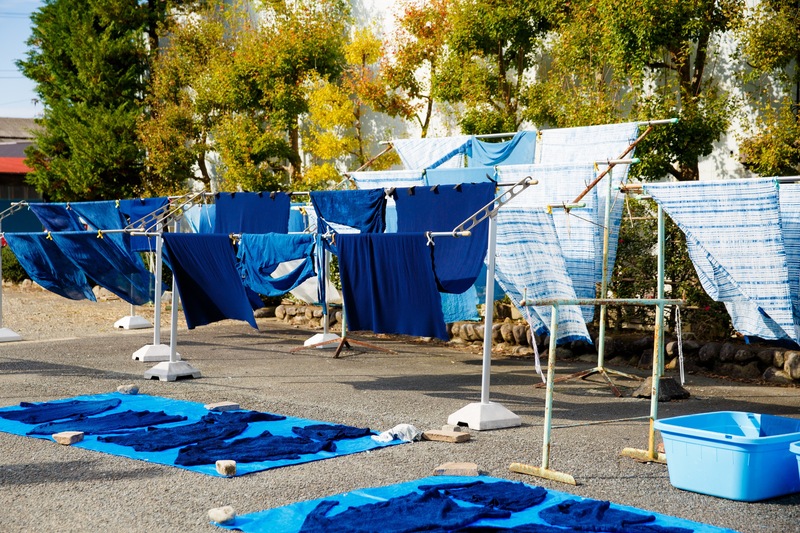 Producing a beautifully deep blue colour, aizome is the result of two different fermentation processes where indigo leaves are first dried and fermented, then fermented a second time with other natural ingredients before eventually becoming indigo dye. A living organism, the indigo is made with lots of care and attention as each vat of dye can result in different hues. This lends an artisanal quality to indigo-dyed products, which in turn makes them so highly coveted. You can book a dyeing experience at the studio, where the staff will take you through the step-by-step process of colouring your very own item. The first step is choosing your own ‘textile effect’ that will create the pattern of your item. Methods like shibori (tie-dye) are popular, as are using chopsticks held together with elastics and stencil dying, where you can get really creative with your design or pattern. 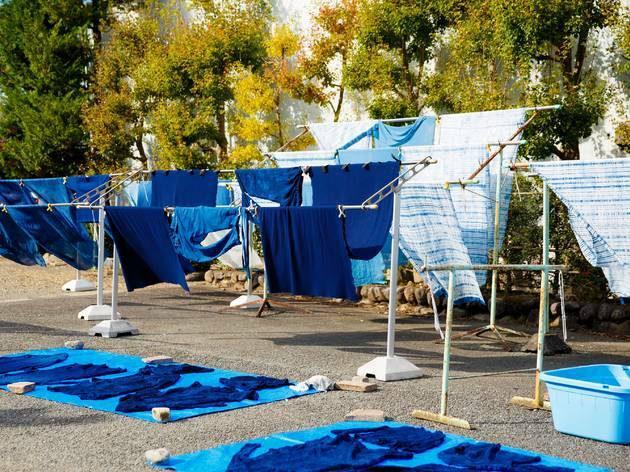 Next, you’ll be able to get up close with the beautiful vats of indigo dye. The more times you dip your cloth, the deeper the blue will be. Each dip is about three to five minutes long, and you’ll need to manually move the cloth around in the dye for even coverage. The breaks between dye dips is where you’ll see the real magic happen. Fresh indigo on fabric looks a murky green colour, however once the indigo oxidises in the air, you’ll see it miraculously turn blue. After a few rounds, your fabric is thoroughly washed and then dried to show the final effects. Who’d have thought getting the blues could cause such joy? 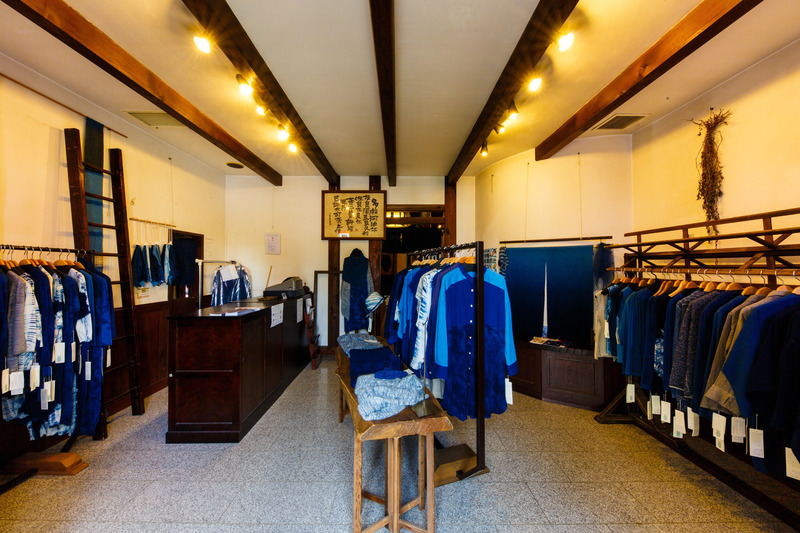 The Murata family that runs the company has been in the textile business for over a century, but two of the Murata brothers decided to open Kosoen Studio in 1989 to continue the craft of natural indigo dyeing, colouring everything from garments to interior decor. The studio offers a dyeing experience for those interested in trying out aizome (from ¥1,600), as well as an adjoining store selling clothing and accessories that the Muratas have designed and dyed themselves.